This 1200W TrendSetter hair dryer gives your hair a perfect conditioning for shiny, smooth and frizz-free hair. It comes with overheating protection for a safe hair drying experience. The narrow concentrator gives effective drying with frizz free hair experience and lets you try new hair styles. 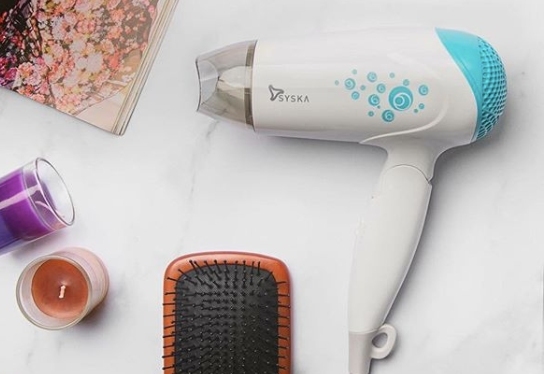 The 1200W trendy Hair Dryer is exactly what you need for your everyday hair drying & styling. It makes every look possible with less effort and more style. The heat balance technology prevents heat concentration and distributes hot air evenly to dry your hair gently. Also the big wind inlet which reduces air swirl for quiet and efficient drying.